The following is a guest post from Sam Suthar, the CMO of Acquire. Scaling your business is almost impossible until you know your customer’s value. 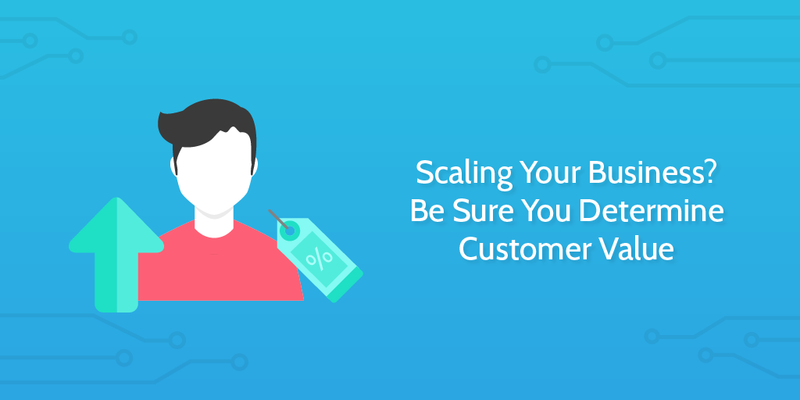 Whether you’re going to scale a brick-and-mortar business or an online business, it doesn’t matter; it’s vitally important to understand what each customer is worth to your business. Statistics by Unicom Group show that 50% of customers naturally churn every 5 years. Sadly, this number can increase if you fail to understand what the customer who signed up last night is worth. Can you reduce your churn and increase customer retention rate? Yes, it’s doable. Although very tricky. In the rest of this article, I will show you how to scale your business by first knowing the value of each customer. When talking about knowing the value of your customer, bear in mind that it goes beyond having access to their monthly earnings. Awareness: The awareness stage is when your customer first makes contact with your brand. This could be through your ads on Google AdWords, organic search, or from guest posts. 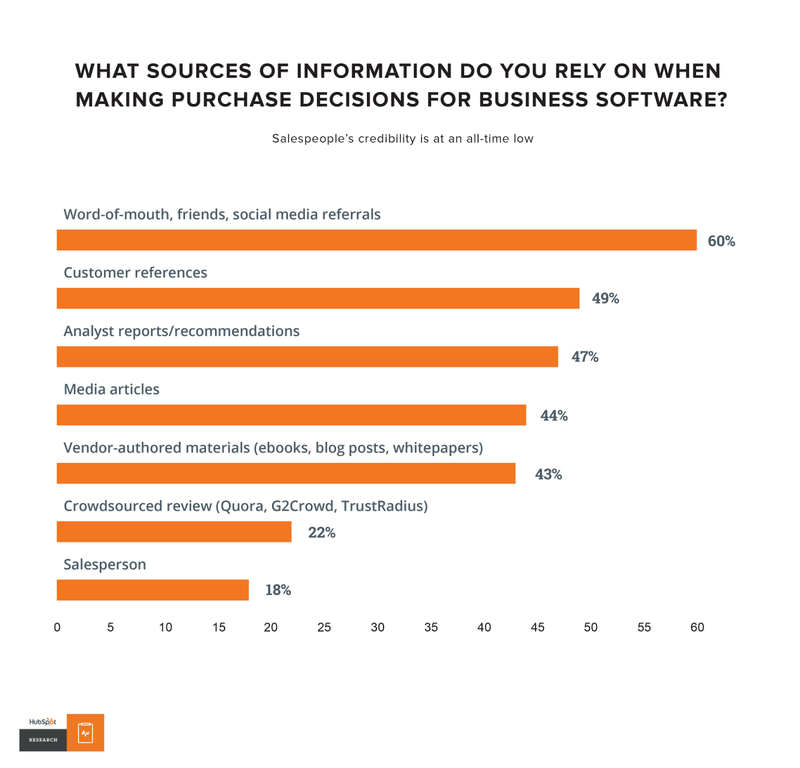 According to HubSpot, only 18% of buyers rely on a salesperson as a source of information when making purchase decisions. The majority of your website visitors are in this awareness stage. Here, these prospects have just discovered your brand. The best step to take at this point is to analyze your content to find the ones that actually resonate more with them — based on how much traffic the content generates, and how people interact with it. You could use analytics tools such as Google Analytics, Piwik (free, open source or pro), or Open Web Analytics (free, open source) to track audience engagements on your website. 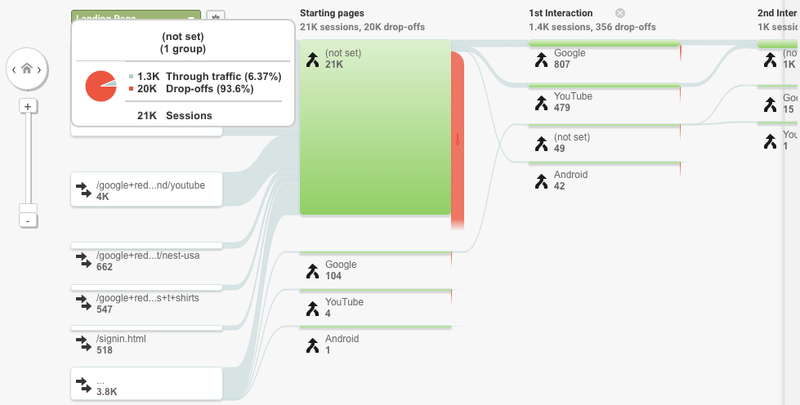 Look at the “Behavior Flow in Google Analytics, and you will see how visitors are discovering your content. You could also use Mocking Fish, CrazyEgg, Ptengine, etc., to study what your audience is clicking the most on your website. These initial steps that you take might seem daunting, but it’s essential if you want to understand your new and existing customers. Consideration: This is where your prospective customer begins to compare your product with your competition because there several options to choose from. Therefore, it’s your chance to prove that your product has the solutions they are looking for. Potential customers would like to visit your Contact page, About page, and Product page when considering your product/brand. This micro step is a signal that your prospects are possibly interested in your products or services. More importantly, you don’t want to let them go without moving them to the conversion stage where they can buy your product. Helpful, in-depth content that explains their pain points removes the objections and shows them the end goal should be your priority. 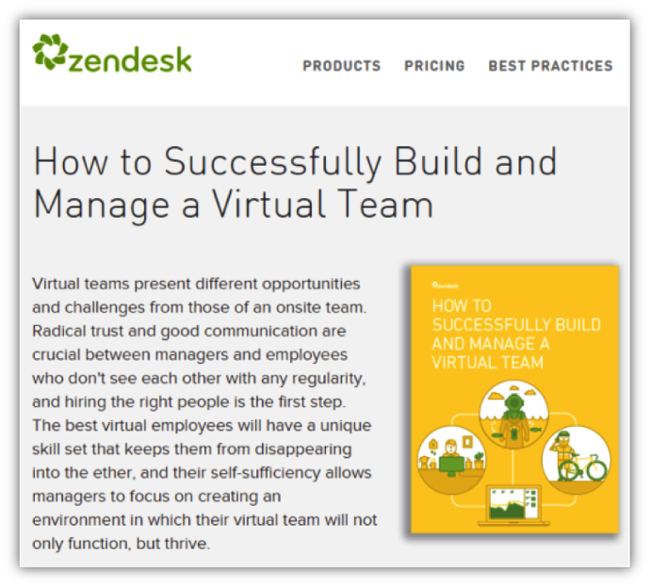 For example, Zendesk produces high-value reports to help prospects take that bold step in their journey. Create content that shows you are an authority in your niche — host webinars and invite thought leaders to educate and inspire people to take the right action steps. Purchase: Before a customer buys a product online, the majority of them usually read reviews, and even compare two or more products. Bear in mind that the customer’s journey doesn’t end in the purchase stage. You need to offer a valuable product or service as well as an excellent customer service experience to retain your customers and convert them into loyal advocates. One thing you can do is to share case studies of how your product has helped your customers. 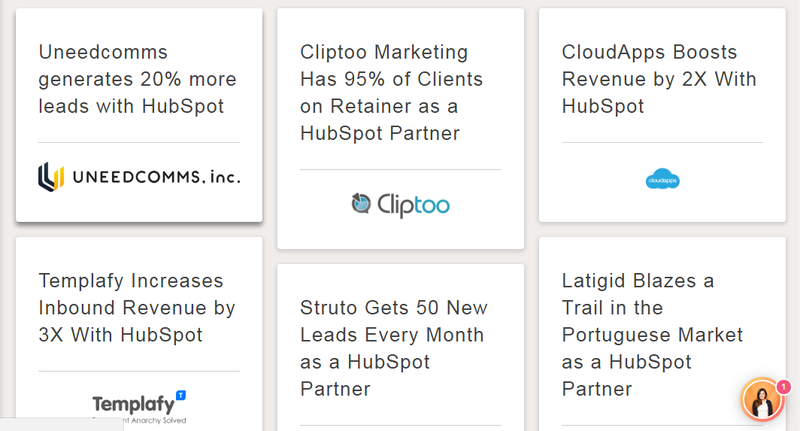 HubSpot does this a lot. They share a lot of success stories from their customers. Seeing these case studies increase a prospect’s trust for your brand. Having a clear understanding of your customer’s journey and what your customer needs at every stage in the customer journey will help you scale your business exponentially. Customer lifetime value (CLV) is an important metric you must watch if getting ahead in business is your objective. While sales and revenue are important metrics to watch for the short-term performance of your campaigns, they can’t paint a complete picture of where your business is heading to. But your CLV will help you determine how successful your business will be. The CLV metric gives you important insights on how much money you should spend to acquire a new customer by revealing how much value they will bring to your business after 3, 5, 6, 9, or even 12 months. The truth is, if you have a good retention strategy, your customers will stick to your brand for several years. A Netflix case study reveals that an average customer stays onboard for 25 months. 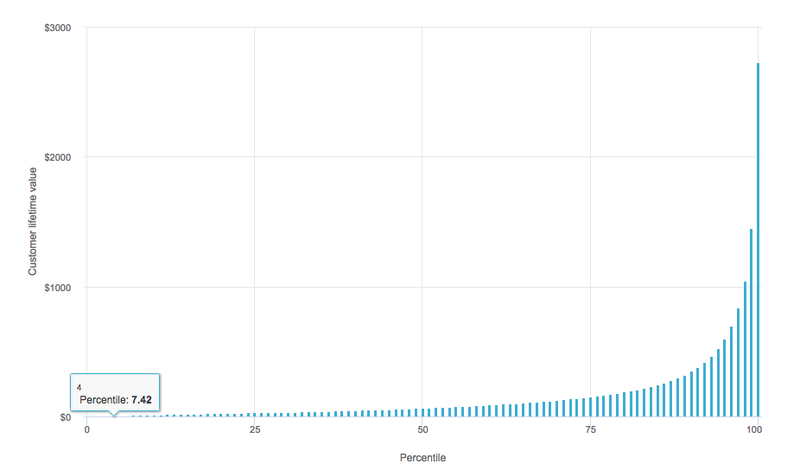 According to the case study, the lifetime value of a Netflix customer is $291.25. Essentially, this figure helps them determine how much to spend to acquire new subscribers. Though, not all customers are created equal. A recent study shows that the top 1% of ecommerce customers are worth up to 18X more than average customers. Don’t get freaked out by this math. It’s simple. $20 X 12 months X 2 years = $480, or $240 each year. So if you spend $100 to onboard one customer, considering the lifetime value over 2 years, it means you have to retain the customer for more than 1 year in order to recoup your money. This simple calculation is in black and white. It’ll guide you when spending money on customer acquisition — because now you have to project into the future before spending more money to sign up new customers. What will growth mean to your system? Will your business be able to withstand growth? It’s important that you get this clear. Scaling a business is not a walk in the park. For example, if your website is hosted on a server with a very low bandwidth, there is a level of traffic you wouldn’t want to receive as it’ll take your business down. It’s important that you sort that out first before anything else. The truth is, if you’re not prepared for growth, don’t even take the risk. Because you could face a lot of challenges like bad customer service, poor products, poor planning, and so on. The truth is, scaling is not free. If you want to scale your business, you must think of financial options that will aid your expansion. Your growth plan may require you to hire new staff members, develop a new technology, or add more facilities and equipment that will speed up the work. So how will you source for the funds? Well, depending on how much you generate annually, it might take years to raise enough money to scale. But getting loans from banks and pitching your ideas to investors can increase your chances of getting more funding and scaling your business quickly. Take this case study, for example. Josh and his wife Holly started a pet business and needed to scale, so they resorted to Kiva — a non-profit lending firm. They were able to secure loans that helped them move their business forward. Are you building relationships already? You have to keep at it. Start connecting and building relationships with game changers in your industry. Attend events where people who have the capacity to help you grow your business will likely attend. Get to meet them and build a lasting relationship. You may not get the funding directly from this initial contact but they can connect you to people who can help you scale, or give you ideas that will improve your business in one way or the other. You can also connect with growth experts who have experience scaling businesses. For example, Interstate Capital Corporation wanted to scale their business as they expanded and their needs became more complex, they outgrew the insufficient “Dan in the Van”. So they connected with Varay, an IT service provider that helped them launch in their early days. The company was able to scale their infrastructure, improved communication, and had more money to put back into their business. Entrepreneurs are risk takers. It’s not surprising this is showing up on the list. But what makes the difference is the kind of risk you take — is it calculated or reckless? Before making any decision, look at the cost and benefits and also figure out the worse case scenario. The founders of Zipcar had only $68 in their bank account when it was just an idea. With the $68 they took risks and turned an idea into a real business — they sold to Avis in 2013 for $500 million and changed the way people drive. Take calculated risks and have a backup plan. Carefully plan your next line of action, ensure you plan with your team, and get counsel from your mentors. You’ll hardly make mistakes if you plan accordingly — but even if you fall into muddy waters, you have the right people who will pull you out. In conclusion, it’s easier to determine when to scale your business once you know the worth of one customer to your business over, for example, a 3 month period — easier than flying blind and making uneducated guesses.